For those who want a little longer and more challenging of a hike at Multnomah, the Franklin Ridge loop is a great idea. Featuring multiple waterfalls, beautiful scenic views of the Gorge, and lovely forest landscape. 12 miles long, this is a great idea for a day trip to the Gorge! Start at the Multnomah Falls Trailhead. Hike to the top of Multnomah Falls and continue up Multnomah Creek. 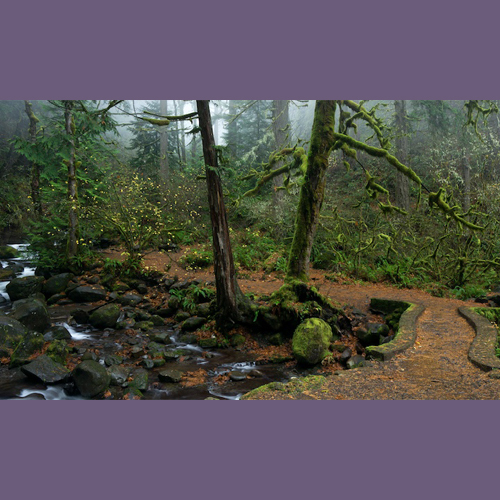 Turn left at the Franklin Ridge junction, and follow the trail through a variety of forest covers and seasonal wildflowers to the junction to Oneonta Gorge. After descending into Oneonta Gorge, follow Oneonta Creek past Triple Falls and to a junction. Here, you can decide to complete the hike one-way by taking the route to Horsetail Falls and Ponytail Falls, or continue on Gorge Trail #400 back to Multnomah Falls.